I know some people just want the floor plans and framing plans and they will take it from there. The ‘Basic-Plans‘ package is just this. 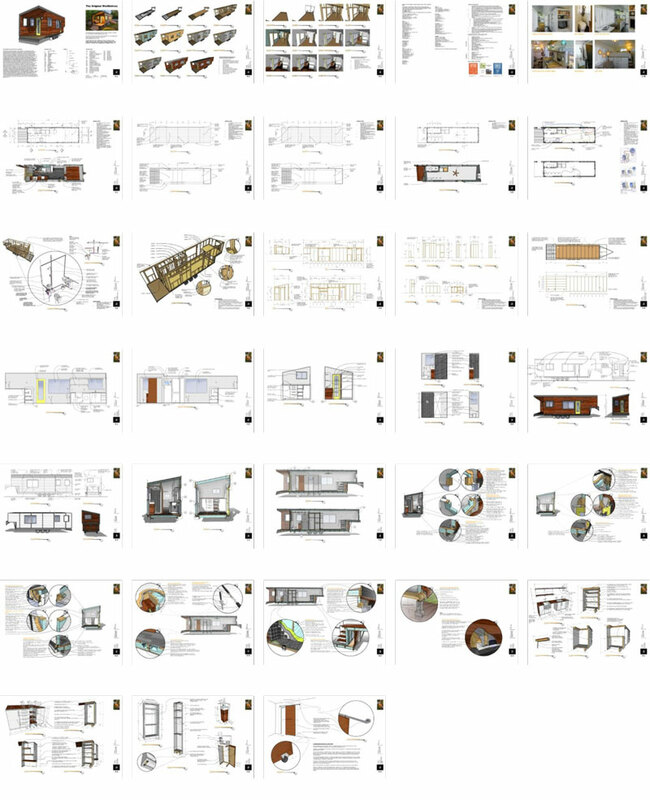 It is a 13 page set of drawings with general information (including links to products that may be less familiar and my exact fixtures), a material list for basic costing purposes, some floor and ceiling plans, elevations and framing plans, that’s it. Simple easy general info without the bells and whistles. There are no details of specific wall assemblies included in this package. For those that want it all detailed out down to the millwork the ‘Full-Plans‘ set has just that. 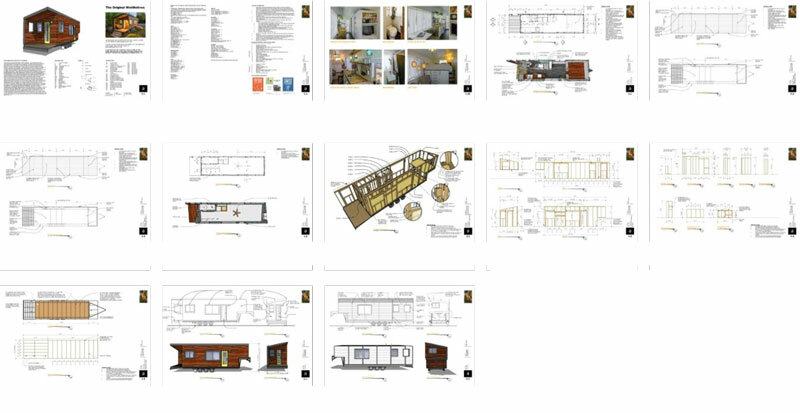 It’s a 33 page set of drawings that includes everything in the Basic Plan package as well as the electrical plan, plumbing plan, millwork and all the details of assemblies I used in my actual house. This, I imaging would be the package that I would purchase if I as starting it over again from scratch, in fact I WISH I had had this prior to going at it. 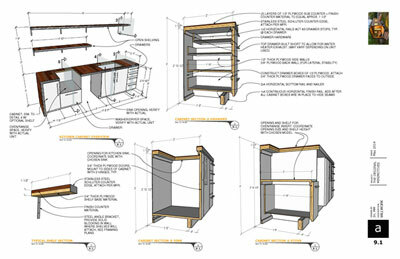 The third package is Everything, the full plans plus the Sketchup model which is fully editable. I really didn’t want to let go of my Sketchup Model but I presume there are those people who want to build something similar to my house but maybe with a few tweaks. This would be the package for them, they can start with the base sketchup model and tweak things from there. I am only offering the Sketchup Model with the purchase of the full set of plans, not independently. I wish you all the very best and I hope to follow along with your journey to minimize! Please do not hesitate to contact me, if I can help you get there I certainly will! Framing plans in 2D and 3D too! 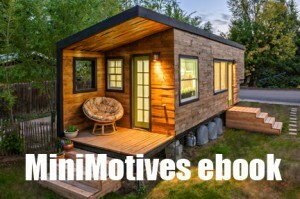 The Minimotives ebook is now available! 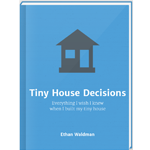 In addition to the plans I have also put together a helpful guide for learning more about how and why I built my house, it summarizes everything from my 18 month build blog for you. You can learn more about my ebook or purchase it HERE. I just swapped them with the cabinet next to them so they were more central, it will still fit a king sized bed but they are very easily swapped back to the right hand side like I have them if you wanted that instead. I have just found that with the stairs being right against the wall I have a natural tendency to lean away from the wall. They absolutely work, I just thought they may function a little better more central, as you look at the plans you’ll be able to see that bank of storage is basically 4 parts which can be interchanged with each other as they suit your needs easily, the details will all be the same. I love the house! But I’m wondering…you built it yourself, as you’re an architect, right? And it cost you $11,000. Well, I don’t know nothin’ ’bout buildin’ no houses :D, so how much, do you think, it would cost me to have someone else build one for me? Thanks! Thank you Shirley, I’m glad you like it! Is there a way to make a 2-3 loft area? Hi Deanna, I’m not sure what you mean? a 2-3 loft area? If you wanted to move your house around, would you be able to? It looks like it would be pretty heavy. Hi there, yes, I have moved it and it is pretty heavy. I actually made mine a triple axle trailer to handle the extra weight as it was an experiment with radiant floors. In the plans I recommend not doing a tile floor which cuts off about 6000 pounds and would make it about 9,000-10,000 pounds complete (plenty for the right dual axle trailer to handle). Great question! The full set of plans includes all construction details inside and out. I truly believe that anyone can build their own house with enough funds and determination and a little know how on Google ;-). The full set include details which show how each wall assembly is put together and all of the millwork/framing etc. is put together but it does not go into ‘how-to ‘ of each step,drywall for example. It just shows you where the drywall goes in relation to the framing, moisture barrier etc. but the act of how to install drywall will need to be googled if it is not known already (Youtube is a great resource that will give tutorials on HOW to do each step). There are links in the plans that show the specific materials and fixtures I used,I leftmost of the finishes unspecified because that is a personal choice and will most likely vary. The biggest determinant of if it is realistic for you would be for me to ask how determined are you? It is a big project and will require your attention even when sometimes you won’t want to give it to it. Where are you parking your home? What to do if the situation changes? I’m not sure what you’re asking for with the w/d question, I’ll just put this right here, http://minimotives.com/2014/04/29/washerdryer-review/ and hope that it answers your question. I’m wondering where you found the bathroom sink and what kind of toilet is that? How are you coping with adding a baby, a boyfriend and a Great Dane to your tiny space? Are you planning on building something bigger now? can you make 2 bedroom? one for me and one for my son? It would be easy enough to do, I designed it so that the patio could be enclosed and be a room for a kiddo. I am not personally going to make that change for a while if I ever do but it is doable! I love your blog! 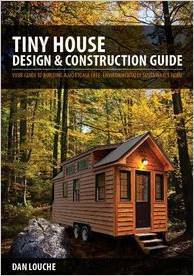 My husband and I living in central Ohio (although I’m a California girl, born and raised) lately we have been considering building a tiny house in a year or so. However we have issues to consider, one being that we have a 3 month old son and the other being our 185 lbs Great Dane Sir Walter. I came across your blog g and discovered that it is duable. I love it! How did you make room for a toddler and a dane? Nicely done TH. I am a single man now looking into this lifestyle. I wanted to ask why you used so much space for a porch? I see many designs incorporate this feature even if on 18-24″ deep. Moving into a TH I envision it making me go outside more and doing things there like cooking etc when the weather is suitable. As such I think a pull out awning and a outside tent top area would be ideal. I realize it is all in your personal preference. 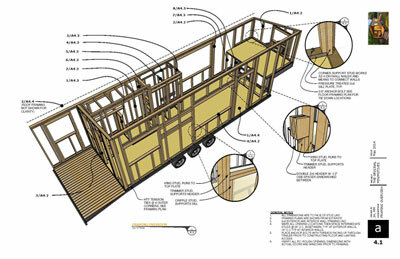 Was there anything about the dovetail trailer that made it more difficult to build over that section? no real reason, I didn’t need any more house and I had the extra space. It was just chance that that is the trailer I got… It came down to cutting off the dovetail (my original plan) or building the patio over it and leaving myself with some room to expand in the future. It is all preference :). I LOVE my patio, it is awesome to sit out there in the rain and be covered, its also nice to shade my door so i can leave the back door open in the spring/fall and not have a huge heat gain. Great house. I’ve been pricing materials and it seems the trailer is a high priced item. You mentioned the toilet being 2k, just curious as to what the trailer costs? Hi Macy – been lusting after a TH for several years now – (health/funds/situation) permitting and yours is the closest to the ideas I have for my own. I couldn’t believe my eyes – finally – someone using under floor heating!!!!! You chose tile and electric wiring which as you have said, creates added weight – until now, I hadn’t really thought of that – duh, slap! Anywho – I have seen pex tubing containing hot water under a wooden floor – any thoughts on installing that under bamboo flooring (now paying a lot of attention to weight, thank you) powered by a roof mounted solar panel (or two) – hoping to afford LED lighting – and as many other energy saving devices as possible. Hadn’t thought of building on a gooseneck – but was planning on the bed above a bank of storage – with pull out mini garment racks and drawers on wheels so seasonal storage could be behind – Love that you have a REAL comfy chair and lots of light – like I said – I really am cosseting your home – how was the roof for towing? did it cause lopsided weight? I have NO idea how I missed this comment! I’m so sorry! Fortunately though I have done a relevant post in the meantime… http://minimotives.com/2014/12/21/radiant-floor-heat-review/. 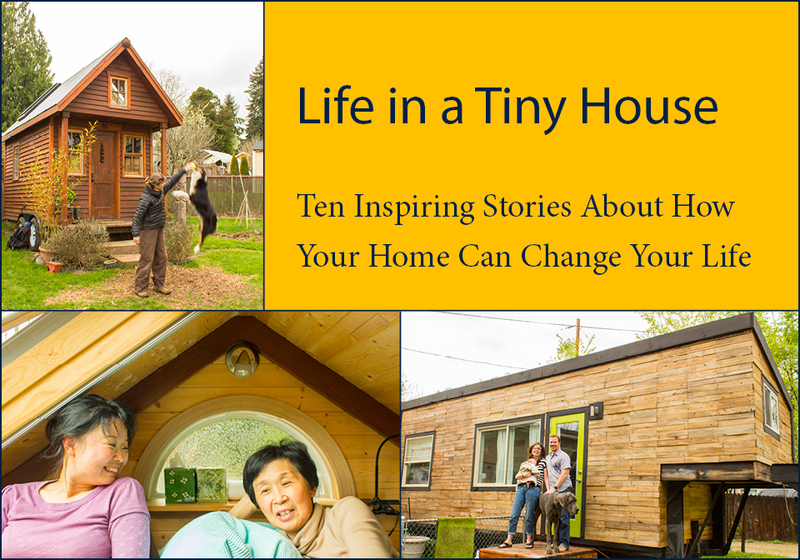 In short, I’m not so sure radiant heat is the best fit for tiny houses, there is so little heat needed that it’s almost overkill, system wise, but also not as efficient because of the perimeter to interior ratios… I did do electric, not hydro so it may be very different but I was worried about cracking a pipe with any vibrations/movements and then you’re just outta luck. Your solar seems doable, the other big loads are the stove (easy to do as) and the fridge, just for some ideas. Fridges can be done in propane too but they are expensive. I haven’t towed extensively but there were no issues with it being lopsided, one side is just about 2 feet taller than the other, in the grand scheme that isn’t a tone of weight, you can counter it though with where you put the heavy components in your home. Hope that helps! Thanks so much for sharing your journey and your plans! I am wondering on the moving front – is this a size that requires a special permit for moving – and is it possible to move it by freeway (as in, could it make a two hour journey from one landing spot to another) or only side streets for moderate distances? This house is Awesome! Great job. I’m curious about your water and power hook-up requirements? 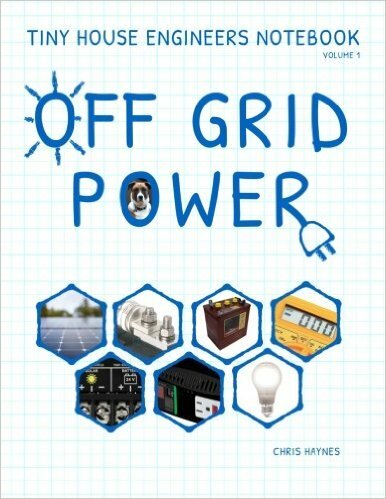 I’m developing a vision of living in a tiny house somewhere out in the boonies and I keep getting stuck on the water and power problem that would keep me in grid or mid grid. Hi Laura! Thanks! I did two doors just cause I wanted to! 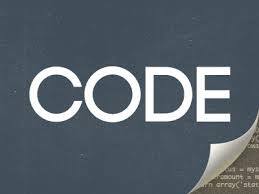 There are no codes that regulate that decision but I wanted a front door and a back door, and it seemed safer to have one on either side of the kitchen. Hey, Macy, I’m trying to take advantage of your November sale but it keeps telling me that coupon is unavailable. Any ideas? I love your design! It was a time-zone issue in the coupon code, it JUST expired but I’ve got it back online for ya, let me know if you have any issues! Thank you Macy for getting back to me – not exactly sure what you mean by perimeter to interior ratios – if properly insulated, why does that effect the heat? What inspired my wanting of this style of underfloor heating was a midwinter visit to a VT log home that had it installed running from a hot water source – tho’ it was just tacked on the underside of the 1st floor with no insulation yet – the whole room (and it was big!) was toasty warm, and the floor was so cozy! I talked with the owner about the possibility of leaks – he wasn’t worried at all with the type of tubing he had used – as long as no nail penetrates it while laying the floor…. if you use pex tubing or the tubing used for plumbing in mobile homes – there should be no problems. I guess you’d drill holes through the floor studs to lay the tubing – and chalk line the stud grid onto the sub floor as you laid that to avoid any screw ups while screwing it down. (I love wordplay) After over a decade of forced hot air (2 apts and my house) I’m stuck with sinus problems all winter every winter – I dare not risk fumes from a Dickinson and already know that a wood stove is out of the question. I had thought to run the floor totally on it’s own system – not sure if solar would be enough or if it would have to run through the hot water heater – hoping for solar tho’ even if it’s dedicated to that. I plan on using mainly propane for cooking, and have a halogen counter top oven that stores away when not in use (fantastic by the way) I do want to be able to combine on/off grid and have the best of both worlds – prep for both. 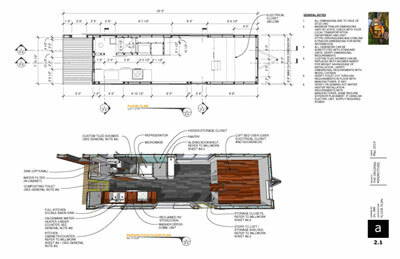 I won’t have to worry about a lopsided slant for towing tho’ – after much thought – I’ve decided that a platform bed that is supported over a closet and partially cantilevered out would work well enough to allow a roomy A frame to give the illusion of a Cathedral ceiling with – complete with exposed beams. I prefer tall cupboards/closets and lots of light to a loft. Since I still have no idea where I want to settle – and I’m not tied to anywhere – I do want to be able to move it – hence the tubing rather than electric mesh and tile. 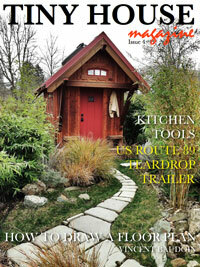 I’d originally thought of bamboo for flooring – but am considering cork now to keep the weight down. I have time to plan those details – since, like i say – I’m stuck in a holding pattern for a little while yet. That’s what makes your site and facebook page such a valuable resource – Thank you! Yeah, that wasn’t the best way to say it… I have two doors, they are hard to insulate, the threshold lets a LOT of cold seep in. I would probably do a different detail there but in reality a different material wouldn’t bridge the cold so badly. I did tile/concrete for thermal mass, wood would be different but then its not nearly as thermally massive either. It’s all tradeoffs. It takes about 10 bucks of propane a month to heat in a propane heater, I think in the long run that is way cheaper than a whole radiant set up. I think the only reason to go with radiant is if you just really want that sort of heat. Which is totally valid because it is a nice type of heat! Ah – now I get it about the perimeters – thanks for clarifying that – and yes I’m researching the radant because I like it – but also ‘cos of health issues -extremely sensitive to some fumes and can’t handle the dust of forced hot air or wood stove. Plus -who doesn’t love warm feet? I’m sure Ms. Hazel loves it! I am in Boise, Idaho, we have hot summers and cold winter, we get below 0. 2 inches of the best hardboard insulation only amounts to about an R-10 insulation value, the minimum in housing codes is about double that, that is your issue. That is the hard thing about travel trailers and the main difference between them and tiny homes. I have R-23 in my walls, R-45 in my floor and R-36 in my ceilings, my heat isn’t much of an issue, those amounts seem to work pretty well. Most of the heat is lost through your roof but you will feel the cold the fasted on the floor since you’re in contact with it (like you’ve noticed!) My suggestion would be to beef those up with insulation first if you can. I am not sure how to best do that in your specific space but hopefully that helps target a solution! Thank you very much for your very kind words! Hi Macy. I love your home. 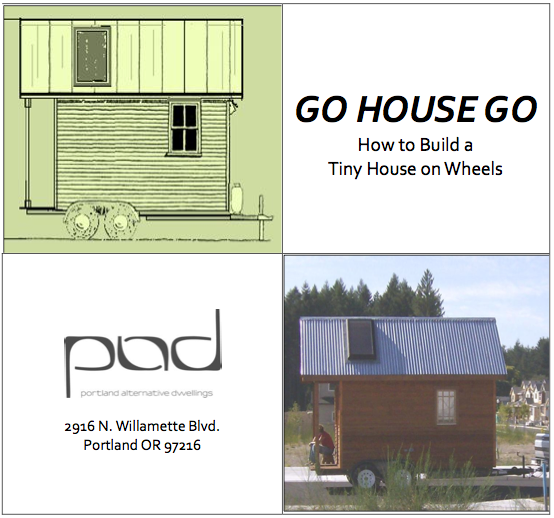 As part of my senior thesis, I’m looking to build a tiny house. My question though is how long do you think it could realistically be built? I’m planning on spending 3 month in the summer working on it full time. I used to work with the American red cross now retired I still have the drive to help….I would like to help primarily the homeless people.And as of January 2015 the census gathered so far is that there are more 2000 individual homeless persons in the Great Silicon Valley. Will it be OK if we make use of your Tiny House Plan for these people? Let me know your response so that I may inform the City Leaders of this great Valley……God Bless. Hi, Macy… one of the best layouts I’ve seen. I don’t like lofts at all. So this bed on the same floor is great, plus all the storage underneath is really smart. Love it and love that it’s on wheels also. Macy, there may be sunny skies ahead! A few questions. I know your plans are for sale, but wouldn’t they be plans from before remodeling? The thing I loved about your TH was that the bed only had a few stairs and NOT a ladder as my disability wouldn’t allow a loft except for storage. What was the original square footage? What is it now? While I definitely want to downsize, I would be happier with 400 to 500 sq feet. I found a piece of land, but want to put it on a slab with city water/sewer. Do you have any knowledge about any combined system out there that would include electric heat for winter and AC for summer? I sent you an email, but if you didn’t receive it, let me know and I can resend it. Thanks so much for being such a great cheerleader! Hi Jane, yes, they are for the original layout, the addition is only two small walls so easy enough to apply the same details to. Original sf is 196, after reno is 232. Split systems work really efficiently for oth heating and cooling, Dykin makes a great one but there are many brands now that are great. I don’t believe I ever received an email from you, I just answered all of my emails so if you haven’t got one back I didn;t get it! Please, I’m just wanting to know your trailer length. I have been in love with your design since i saw it last year!! Thanks so much for the kind words, the flat bed is 24′, there is an additional 5′ dovetail. Hope that helps! Hi Macy, I purchased your basic plans and it’s been super helpful. Now I’m trying to make modifications to accommodate my needs. I started re-drawing the plans on 11×17 graph paper but now I’m just wanting to buy your sketch up plans. Is that an option? I love the bunks you added where the porch was, could I get plan with that change? I haven’t made any new plans but it’s a very simple addition of two walls from the original. I did document the entire renovation in the eBook. I didn’t read all the comments/questions so if I’m asking you to repeat I apologize. What length trailer was this built on? And would it be easy to make adjustments if I wanted it on something longer? Sorry to be so slow here! It is a 24′ trailer but you can easily make any adjustments (and you SHOULD!) you need to to suit you. the details will all be the same. Is this including the gooseneck length? Or independent of the gooseneck? This does NOT include the gooseneck. The overhang is an additional 7 feet and I built out over 42″ of that. Does that make sense? Hi Macy! I’m really looking into purchasing your plans- I get very excited thinking about beginning to build my own home for my 6 yearly and I. Ijustwantd tossed you a shout out for being bold and accomplishing this beauty. Now, my question jeje. Your trailer, you said y ou purchased it on craigslist? DO you feel confident that it was a great purchase with the price? curious because in TX all of the trailers this size, are priced similar to the news,at 6-8k. it’s a big investment, and I just want a little bit of insight. Would you travel a waist pick up a trailer at a very low price or go with a new one? Brand new trailers are quite a bit more costly. I found a great deal and have no regrets! Wether or not to travel is up to you, I didn’t have a vehicle that would pull the trailer so I worked out a deal that the man who sold it would deliver it to us. He drove it 30 miles to get it to me which was awfully nice. 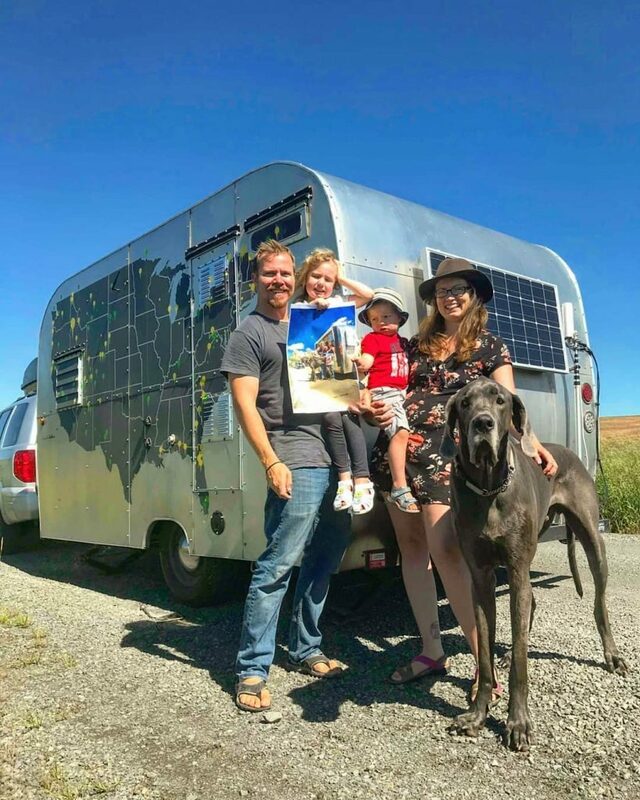 It has been many years since then and the tiny house movement has certainly effected the cost of a trailer in my opinion, they seemed to have gotten more costly both new and surprisingly used. Im sure thats largely based on steel costs and whatnot but they have become more expensive. I’d guess my used trailer would be at least $2,000 in todays market. Still and extreme savings.